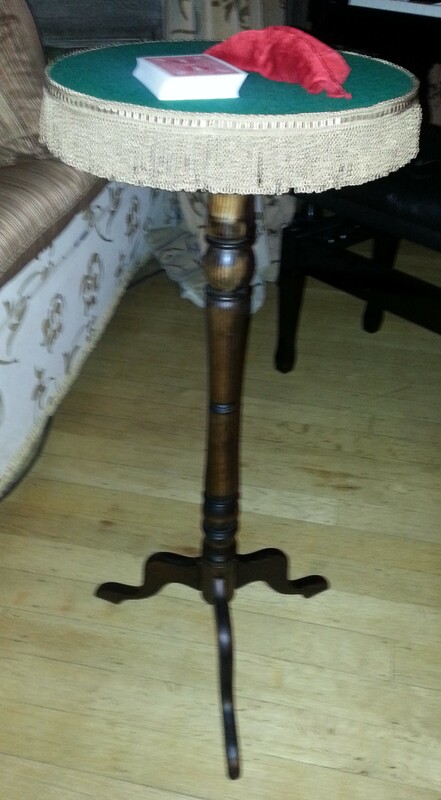 A small wooden stand is assembled in front of the audience. A bulldog clip is then shown and hung on the wooden stand. 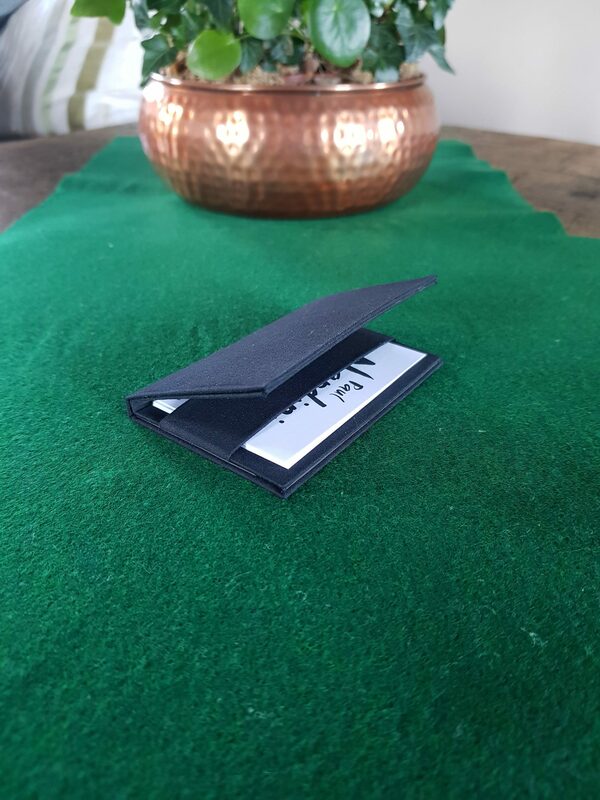 A card is chosen, signed and placed onto the stand which is covered with a cloth handkerchief. 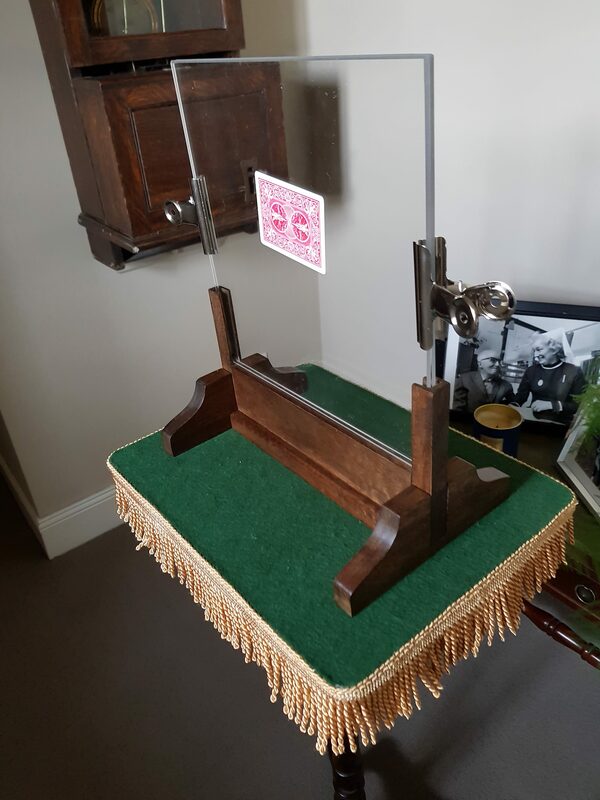 The magician when ready removes the cloth to show that there now a folded playing card hanging from the bulldog clip. The card is openly removed to show that it is the spectators signed card.